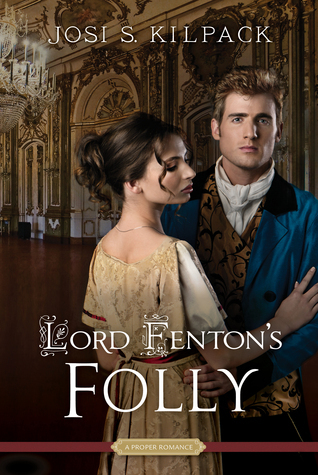 I read Lord Fenton's Folly because of two reasons: I like hate-turned-love romances and I'm a big fan of the clean Proper Romance series (Blackmoore, A Heart Revealed). Alas, I did not love this one as much as the previous two. The characters felt inconsistent and, while likable, they weren't lovable. The plot was also wandering all over the place with reveals that felt haphazardly thrown in and extras that didn't need to be there. This would have been so much nicer if the author had just stuck with the basics of Fenton redeeming himself in society, mending his relationships, and slowly falling in love with Alice. Bottom line: Overall, nice with a lot of potential that got lost in the disjointed plot. Sometimes simple is better, and the author should have stuck with simple in this case. I picked this one up on impulse because it was short and I really liked Susan Higginbotham's Wars of the Roses book The Queen of Last Hopes. 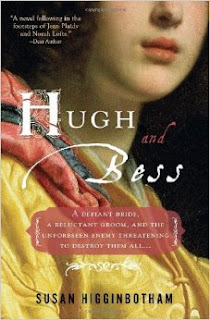 While The Queen of Last Hopes is primarily a historical novel with a bit of romance, Hugh and Bess is a love story set with a fairly detailed historical backdrop. It was a nice toe-dip for learning about the historical time period and I'm now even more interested in learning about that time (England during the time of Edward III), but I definitely need to seek out more books to get the whole story. But, like I said, this is more of a romance. What type of romance? Fluffy, sweet, clean, hate-turned-love. Actually, it could fit right in with the Proper Romance series. I liked this book. I laughed, cried, and swooned, though I was never gripped by it. It's a solid Good Book. Bottom line: I'd grab a cozy sweater, comfortable chair, and crackling fire and give Hugh and Bess a reread.